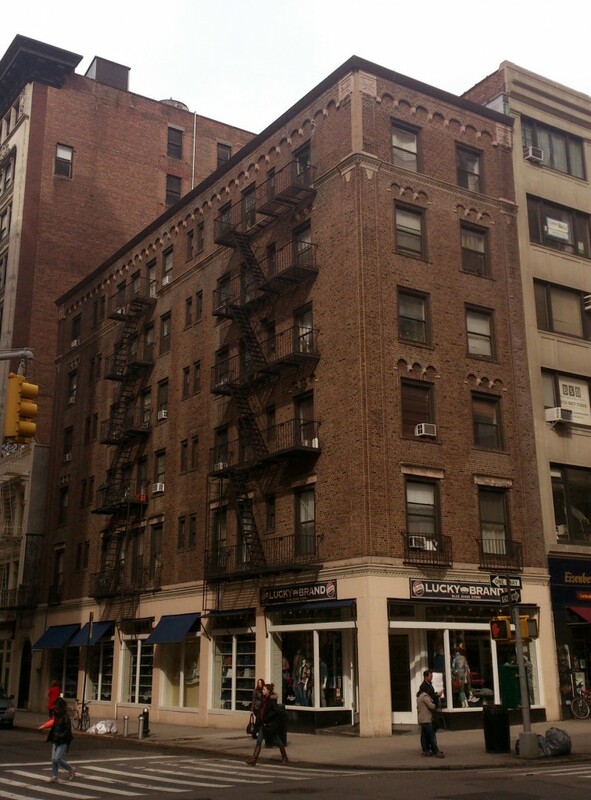 A 1928-1930 design by Aaronson & Heidrich, 172 Fifth Avenue starts off the only block on the Ladies’ Mile not to contain a skyscraper. A well-mannered example of the late Romanesque Revival, the building is notable for being a mixed-use residential development in an era when most of this stretch of Fifth Avenue had been given over wholly to commercial and office use. The dark red-brown brick strikes an attractive and somehow suburban note, echoing the similarly styled Fifth Avenue apartment houses south of 12th Street.